Often mentioned in the same breath as Glastonbury, Roskilde is continental Europe's biggest festival.  The festival offers a variety of international acts and four days of music from Thursday 2nd until Sunday 5th July. There are also warm up events which run from Saturday 28th June until the start of the festival. The acts announced for 2009 include Coldplay, Slipknot, Pet Shop Boys, Oasis, Nine Inch Nails, Faith No More, Madness, Amadou & Mariam, Kanye West, Eagles Of Death Metal, Fever Ray, Fleet Foxes, Friendly Fires, Frightened Rabbit, Röyksopp, Volbeat, The Mars Volta, Den Sorte Skole, Amon Amarth, Cancer Bats, Deadmau5, Mike Sheridan, Get Well Soon, Katzenjammer, Klovner i Kamp, Håkan Hellström, La Coka Nostra, Satyricon, Skambankt, Yoga Fire, The Soft Pack, Down, Baddies, and Marnie Stern. More acts are expected to be announced soon. For the line-up details as available please click here. Tickets are on sale, priced at £190 for the four days including the warm-up from Sunday 28th June until Wednesday 1 July 2009. For a review of Roskilde, and an indication of what to expect, click here. By train EUrail covers all of Europe. The festival-goers just have to pick the destination, then the EUrail ticket makes available the train ride to Roskilde. A discount is granted to everyone under the age of 26. DSB takes care of the majority of the Danish festival-goers' transport to the festival. During Roskilde Festival a train station opens at the festival area so the audience can easily get to and from the town of Roskilde. By bus Swebus Express takes care of bus transport from Norway, Sweden and northern Germany. For the last couple of years, Swebus Express has taken festival-goers to Roskilde Festival, and in 2009 Swedes and Norwegians can go from Stockholm and Oslo, respectively, and straight to the festival area. City-Trafik supplies shuttle busses between Roskilde Station and the festival area. Bus lines are going both to Camping East and West.